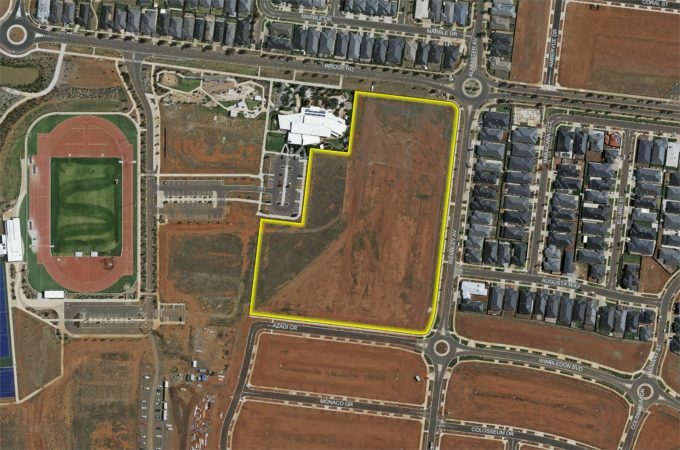 The Victorian Government is acquiring land for a future primary school in Strathtulloh (Melton South), thanks to a GAIC works-in-kind agreement with Melton City Council. The agreement will result in Melton City Council transferring 3.5 hectares of land to the Victorian Government for a future primary school, as part of their Growth Areas Infrastructure Contribution obligation. The Strathtulloh community is developing as part of the Toolern precinct structure plan. This is the Victorian Planning Authority’s fifth successful GAIC-WIK agreement, furthering our commitment to ensure infrastructure provision is well-planned and well co-ordinated. The agreement comes after 10 months of negotiations and is a breakthrough for the local community, the state government and the developers. The Victorian Government acquired the site for considerably less than the Valuer-General’s valuation for the land – a win for Victorian taxpayers. Prior to the agreement, Lendlease, Melton City Council’s development partner, constructed local roads to the site and all essential utilities, including water, gas, electricity, sewerage and telecommunications.